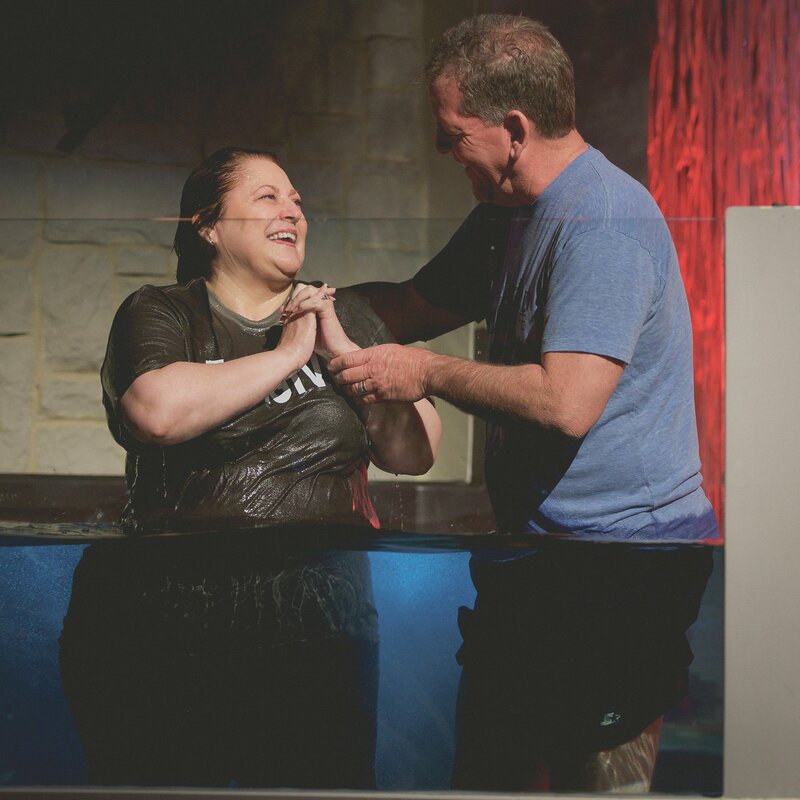 We believe baptism is a necessary step whenever someone decides to commit his or her life to Jesus. We believe the Bible teaches baptism, by immersion in water, of those old enough to make their own decision for Jesus as part of the formal process of becoming a Christian. The actual water doesn't necessarily do anything special (we believe that God's grace is what saves us) but it is commanded by Jesus and symbolizes two things: the washing away of sins and the "old self" being buried with the "new self" raised with Christ. Watch the short video below from our senior minister, Dr. Stephen "Doc" Pattison, about why baptism is so important to us. If you've made the decision to follow Jesus, this is your next step. We're glad to baptize you soon and we'd love to hear your story so we can share it with our church family. Fill out the form below and we'll get in touch with you. Need more information about baptism? Do you think baptism might be the next step for you - but you're not sure? Maybe you've got some questions that you've always wanted to ask. Join us for a short 20-30 minute baptism class. Our senior minister Dr. Stephen "Doc" Pattison will lead you through the history of baptism and what it symbolizes. Our next baptism class, open to kids, students and adults, is Sunday, May 5 at 12:15pm (right after our 11am service) in the Connections Room in the lobby.